My sparkly windowsill as I quickly embark on some Spring cleaning. Loving opening the windows! It makes sense to me for so many reasons. One, on the odd day, or sometimes just odd hours in a day, it's starting to FEEL like Summer. Also, two, in Pagan traditions 1st Feb is classed as the first day of Spring. If you therefore class a season as three months, that means Summer starts at the beginning of May, making the Solstice the height of it. Third, the evenings draw in from the Summer Solstice onwards, meaning it is the longest day. The start of something wouldn't see a decline would it? No! So intuitively you can guess that of course Solstice is the height of Summer just like it is the height in our hours of daylight! Yes, see you are agreeing with me now! Also, there is a misconception that Summer Solstice is always 21st June when in reality it can vary from 20-22nd June. 2016 it will be on 21st though. I used to always spend Summer Soltice practicing yoga, usually in a really spiritual place like Glastonbury for example, but for the last 5 years I have spent it at BritMums Live (Cybermummy in 2011). This year it is on Saturday 25th June and I am yet to buy a ticket. It's a one day event now and I just popped on their snazzy new website (is it new? Looks it to me) and saw that there is a fringe drinks night the night before. Looks like I have some organising to do and a sponsor to seek. I'm REALLY looking forward to spending Summer as a family of four and seeing what my baby girl makes of it. Taken yesterday when she spent an evening in the garden watching her brother play on the swings. Her routine now is that she ALWAYS falls asleep on the afternoon school run so as I type this she is asleep. 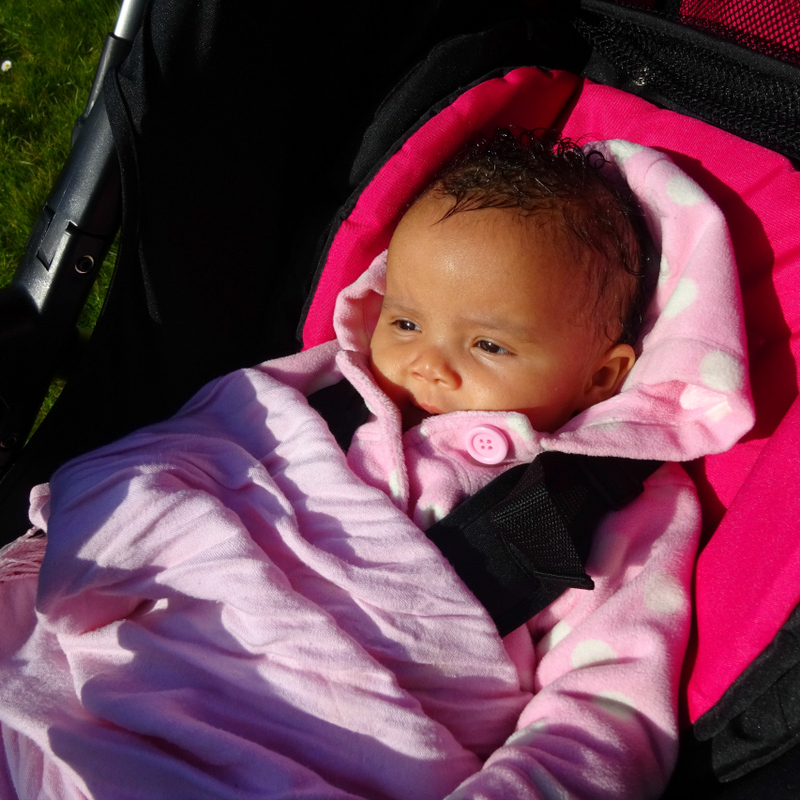 Ordinarily she stays asleep in the buggy but as I had her, yesterday and today in the Oyster Lite stroller instead of the pram, both days she has woken up when we get in. So I have breastfed her back to sleep and she is cosy on my knee right now. She's happy there and I am happy to have her there so I am typing this with the background noise of Aaron saying "when is dinner?". I don't feel sorry for him though as he ALWAYS has a sandwich crisps and a drink on the way home from school. 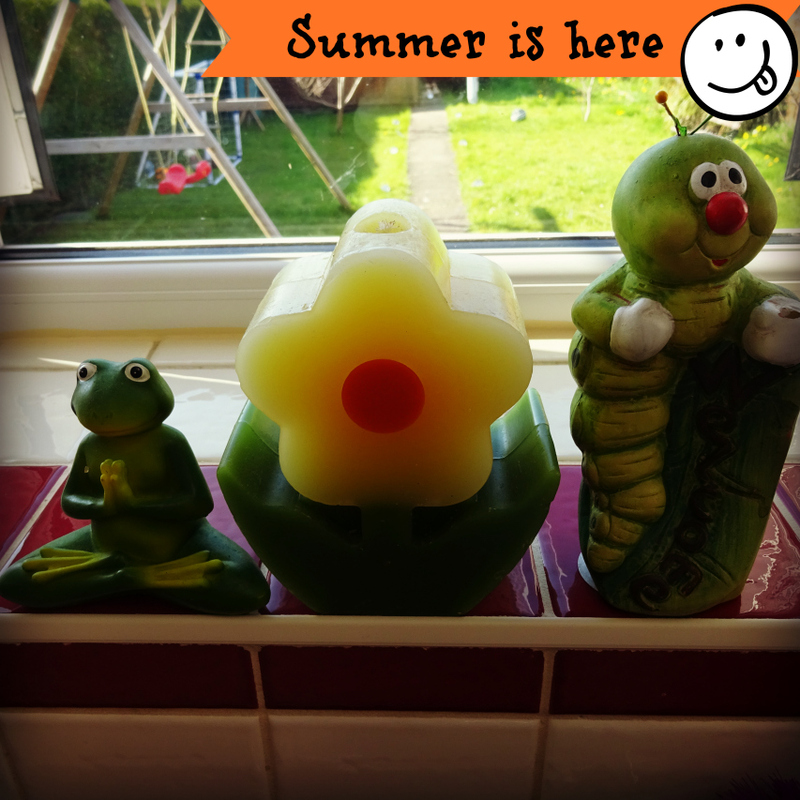 Labels: summer is nearly here., summer solstice, summer solstice is high summer not the start of summer, summer solstice is midsummer, when does summer start?